Destination Infinity is a blogger who I read. I don’t do much of blog hopping these days, but I still read the old timers blogs, albeit sporadically. So when DI asked me to review his book, I agreed. Although, I always worry about reviewing books of people I know. Because what do I say if I don’t enjoy the book? Do I just keep quiet and not mention anything. There was once this lady blogger I came across. She is a prolific blogger and has a few books to her credit. Now, I used to follow her blog, but her books weren’t as great. And she asked me outright how I found her books, which had me grasping for words, wondering how to put it politely.. So yes, where was I? Yes, DI sent me a copy of his book for an honest review, and me being as efficient as I am, took ages to get around to reading it. Apologies, DI, for the delay, and thank you so much for asking for an honest review, it’s so much easier when an author wants genuine feedback. The Archer’s Revenge is the story of Aryan, a young man, Aryan, and his quest to revenge his father’s death. Aryan’s father’s death was camouflaged as a sudden cardiac death, until he got an anonymous tip that he was murdered at the behest of the Minister, Guru. Having known that, Aryan sets out planning his revenge and he plans to use archery to achieve his objective. He is single minded in his quest, and fate brings him a companion, Divya, another person with a similar story, and a common goal. It is an interesting story, the plot, well thought out, and well executed. I enjoyed the twists and turns, and had a tiny, really tiny inkling that there was a twist in the offing, however, when it came, it was still a surprise. The plot, and the handling of it, was done well. 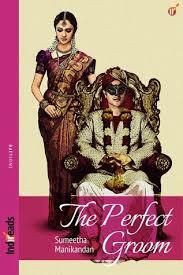 The author has managed to build up his story and the backgrounds of each of the protagonists really well to explain the motives of the characters, right from Aryan to Guru, the minister. All this makes it a believable book, even if archery might still not be considered a method of choice for most people seeking revenge of this sort. What I felt could have made it much better, is better editing. The title itself is a case in point. The language, the style of the book, could have been improved much more with proper professional editing, but for a first time author, I thought it was a good effort, with a very different storyline, nicely interspersed with local flavours, and culture. A book that I would rate 3.5/5. Destination Infinity (Rajesh K) is a vetern Indian Blogger who has recently forayed into the world of writing (books as opposed to blogs). Another book that leapt out at me from the shelves of a library. That also reminds me that I’ve not been to a library in the past three weeks. *gasps in shock at the realization* Not even my lunch time library run! I have been downloading e-books. I’ve become a convert, I have to say. While I still love regular books, the lure of marked down books is too difficult to ignore. Poppy Day is a 32 year old young woman. Mother to two adorable children, wife to Mart, an army man and her childhood sweetheart. Mart is just back after tour with the army, safe, and is considering packing in his army career which takes him away so much from his family. For Poppy, nothing can be happier news than knowing that her husband might be with them all the time, even if it means that she would have to forgo some of the things she currently takes for granted, like the house she is so proud of. Nothing can match having her partner, her husband with her and not having him go away on dangerous missions to all sorts of unstable parts of the world. Busy with her children and her regular life, Poppy almost misses a lump in her breast. And unfortunately for her, it turns out to be cancer. Poppy Day knows that she has to fight it and fight it hard, she can’t let cancer take her away from her family, the family she has fought so hard for, the life she has fought so hard for. Poppy has come a long way from her origins in the East End of London, and she isn’t about to let cancer take it all away. It is such a heart wrenching story, a young woman, at the prime of her life faced with the possibility of dying before her time, way before her time. The way the story is narrated, is both sweet and sad at the same time. It is a book that could move you to tears, and as a mother with a young child myself, I could almost place myself in her place and imagine what she must be going through. The possibility of your children never knowing you, of growing up without their mother, of not having their mother with them at the most crucial time of their lives.. Poppy had grown up with a mother who did little for her daughter. She always tried hard to be the sort of mother she always wanted for herself, and facing the possibility that she might not, is such a cruel, cruel fate. A heart wrenching story, but a story well worth the read. I loved the way the author brought out so many emotions, Poppy’s own situation, Mart’s frustration at not being able to do anything to help his wife, the children and their ways of dealing with what they understood of the situation.. A beautifully written book. This book was apparently a sequel to another book, which I hadn’t read but this doesn’t hamper the storyline in anyway. 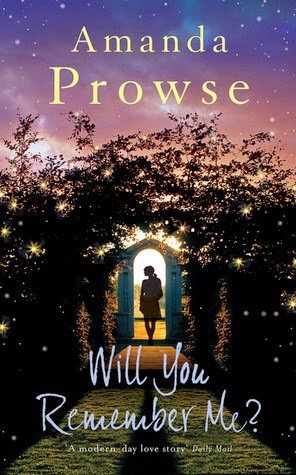 It is just that readers who had read the previous book might connect and empathise with Poppy and Mart even more, but it certainly didn’t detract from this book, for me. There were some elements of the book that didn’t work for me, which I can’t really go into without revealing too much of the book, making it 3.5/5 book for me. Otherwise it could have easily been a 4.5/5 book. Amanda Prowse was a management consultant for ten years before realising that she was born to write. When her family isn’t being uprooted by the army, Amanda lives blissfully in the West Country with her soldier husband and their two teenage sons. This book is available from Amazon(UK). A book I got free from Indireads as a ‘joining offer’ on Goodreads. Never to say no to a free book, I downloaded the book that appealed the most to me. Nithya has been married to Ashok for three years. Ashok is the perfect groom on paper. Successful, handsome, from a ‘good family’, things that Nithya’s family couldn’t even dream about. Nithya and her sister were brought up by their widowed mother, who survived on the scraps that her step-sister and brother-in-law handed out to them. When Nithya’s uncle brought the aliance from Ashok’s family, it was as if their luck had finally turned. Nithya’s mother could ask for nothing more, she just couldn’t believe her luck. Such a wonderful, son-in-law, and his family who didn’t even care that they had nothing to give as dowry. Nithya had other plans, she had wanted to work, but when things seemed so perfect, she didn’t have much to argue with. After all, she realized how much it would ease the pressure on her mother to see one of her daughters married and ‘settled’. After the wedding Nithya flew to the US where the true story of her marriage unfolds. A story that is as sad as it could be true of so many brides in our midst. It is in many ways a true reflection of our society. The stigmas, the censure, the one-up-manship, the need to ‘marry off’ a daughter that could so easily ruin lives. It is an easy, quick read, but one that leaves you thinking. I loved the characters, especially Nithya. Her strength and her determination really came through. Her ability to make peace with what fate dealt her and make the most of her life.. I think I enjoyed the book far more than I thought I would. I had thought of it as just a filler book, just to read between two good books, but it turned out to be a surprisingly good read. A 4/5 book for me and I will be on the look out for more books from the author. This is the second interesting Indireads book I’ve read in the last few months. I’m definitely going to be browsing there more often. Sumeetha Manikandan, a freelance content writer is an English literature graduate with a journalism and mass communication diploma. Married to film director K.S. Manikandan, she lives in Mylapore, Chennai with her five-year-old daughter. This book is available on Indireads. The other day I got an email from Sage asking if I wanted to be part of a blog tour of the book, The First Noble Truth and I agreed, because it sounded interesting. So here I am hosting the blog tour today. 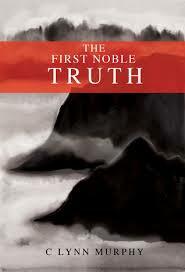 The First Noble Truth is the author C Lynn Murphy’s first book. Machiko is an English teacher in a school in a small remote, yet beautiful village in Japan, where the children wear bells on their school bags, to warn away bears. She has a condition which makes her pull out her hair, pick at her skin. She finds that she can do nothing to stop herself from doing it. She struggled hard to mask the damage what her fingers had done to her appearance, she struggled to look normal. No doctor she has been to, has been able to help her with her condition. When a mysterious young woman appears in the village, everybody is curious. It’s a small village with no secrets. Machiko ends up checking after her and ends up becoming the only person to interact with this woman, Krista, an American who seems to have secrets of her own, hidden away. The book alternates with Machiko’s narrative and Krista’s narrative and keeps the pages turning. In Machiko’s and Krista’s stories, is also woven the cultures and faiths that they come from, the way things are different and yet startlingly similar. It questions beliefs around suffering, the links between suffering and faiths, religious beliefs and even the similarities between religions. It makes for an interesting and thought-provoking reading. It is a tale of misfits, people who don’t find themselves happy where they are, for various reasons, none of it, in their control, really. I really liked the style of writing. Loved the way the book started. The descriptions were wonderful, they took me to the places where the protagonists were at. The way the author writes about Machiko’s condition is especially heartening, it is a very understanding and accepting narrative. One that brings out the pain she’s going through so very well. All the characters beautifully etched out. I particularly liked the beginning which started with Krista’s story. It was a painful story, but beautifully narrated. A very interesting book, but not the easiest of reads, especially if you aren’t in the right frame of mind to read it. A heavy read, but a recommended one, if you like books of this sort. I’ve given it a 3.5/5 but that’s mainly go do with the fact that it was a little heavy going for me in places. Lynn Murphy was born in New Hampshire, but has since lived in Scotland, France, Germany, Italy, Japan, England, Nepal, India, and Mongolia. She also spent a year backpacking across the African continent for kicks. She is a doctoral candidate in Buddhist Studies at the University of California, Santa Barbara, as well as a graduate of St Andrews University (M.A.) and Oxford University (MPhil). She currently lives between Mongolia and the UK, where she is conducting fieldwork on post-Soviet economies of the funeral industry and their impact on contemporary Mongolian cultural and religious identity. She writes, she knits, she eats mutton. 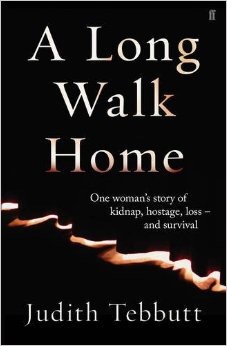 A Long Walk Home: A Woman’s Story of Kidnap, Hostage, Loss – and Survival. Judith Tebutt and her husband David are on a trip to Kenya. A trip that has a lot more significance to them than just a trip to Africa. They had met thirty three years ago in Africa and been together ever since. Africa holds a special place in their hearts. This had seemed a perfect holiday, a combination of things both of them wanted to do. A safari for David and a relaxing beach holiday for Judith. A holiday that was supposed to be a good break for both of them, a holiday they had planned meticulously for, and until then had seemed perfect. The reserves in Kenya seemed just what they had thought it would be. After a perfect time at the reserves, they had come to this coastal resort in Kenya which had come heavily recommended. They were looking forward to a relaxing week at the beach. Their dream trip turned into horror when Judith is kidnapped by Somali pirates from their cottage at the desserted beach resort they had been staying at. Judith is kept hostage for 192 days, in subhuman conditions, with very little food or kindness, for that matter. Held for ransom, Judith has little to look forward to. Dirty surroundings, unkind people, very little food, humiliated and isolated. All she can do is hope for the best and keep her body in the best condition she could. She would walk inside her room to keep herself fit. As she walks in the small room that she is held hostage, in her mind, she is walking towards home. She is walking towards freedom, every step she takes bringing her closer to the dream of being free. The memoir is a moving account of her time as a prisoner. Torn away from her beloved husband and held hostage, she refuses to give up or lose hope. She even tries to write down details of the places where she’s held and those of her captors in the belief that one day she would be free. Such a brave and moving account. Such a brave person. A book that reinforces how strong people can be, in the face of adversity. Judith’s love for her husband touches your heart and breaks to read what she goes through. Not an easy read, but definitely a read that I would recommend. Judith Tebutt is a British woman who was abducted by Somali pirates when she had been on holiday with her husband off the coast of Kenya. This book is her memoir of her time as a hostage.